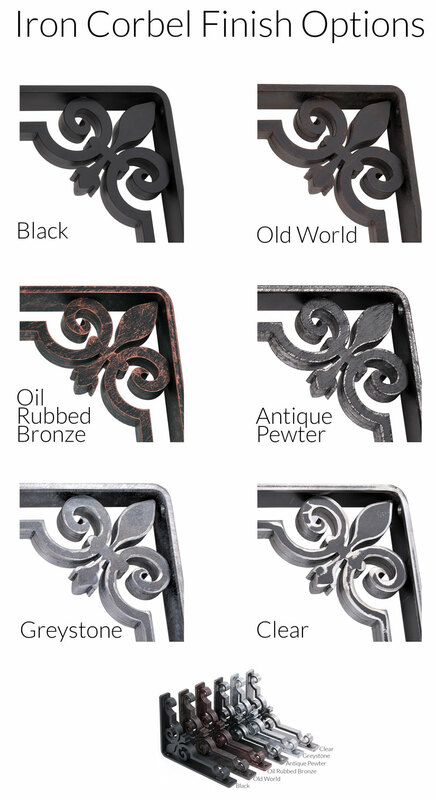 Striking scrolls and substantial strength are the hallmark of our Linley Wrought Iron Corbel. At 4 inches wide, this thick corbel offers sturdy support for strenuous applications such as holding granite kitchen countertops and heavy shelving. Its transitional nature melds nicely with many decors and can be customized in an array of unfinished standard or six premium finishes. Note: This corbel has a 1/4" thick L Bracket and pre-drilled holes for mounting. If you need top mounting holes, please select that option. I loved them but they were much too heavy for me to mount where I wanted to use them. Sadly, I had to return them.